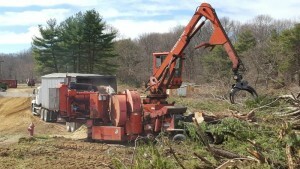 River Front LLc, offers comprehensive land clearing programs that include the equipment and skilled operators to get the job done within your time frame. Our large fleet of grinders, trucks and walking floor trailers will ensure quick and proper removal of grindings from your job site. In this economy it pays to have a clearing company working for you that understands time is money. The 1460B is a workhorse that out-produces other grinders in its class. It features a 14 foot tub, and up to 1,000 horsepower applied to a 60 inch hammermill. 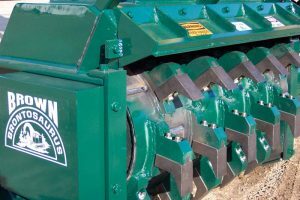 Being the most versatile grinder in the market, the 1460B makes short work of C&D material, railroad ties, green waste, stumps, passenger tires, and many other materials. We have 2 Morbark Model Chiparvestor® Whole Tree Chippers in our fleet. This aggressive machine is perfect for the toughest of jobs. 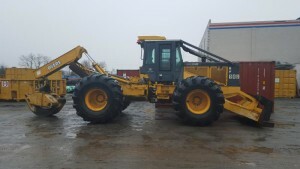 With an 83″ disc and a four-wheel hydraulic feed wheel compression system, this machine is fully equipped to handle the largest jobs. 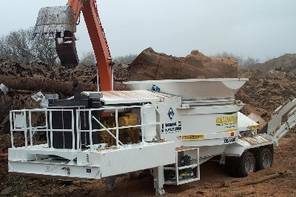 Our chippers produce quality wood chips , Our Morbark chippers are designed to produce quality chips whitch we can haul off site or leave on site. Please Contact River Front regarding our Chippers with Operators. 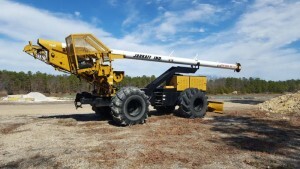 Our telescopic boom extends 75 feet with a 90-degree range of motion. The non-conductive, high tensile fiberglass construction provides shock resistance and strength while limb deflectors protect the operator from sliding branches. All-terrain tree trimmers make ROW maintenance safer by reducing the need to have climbing crews cutting above power lines. The Jarraffs allow operators to stay safe and comfortable in the cab while trimming. So if you are looking for a safe way to remove limbs from trees along a road side, Right of way , Highways etc, please contact River Front and we will put together a solution to your project. with an auxiliary engine. The auxiliary engines drastically speed up the production time and the size material we can clear. You can rest assured if you ask for our equipment, it is prepped with the best option so we can get the work done in a timely and safe manner. This Unit is a required mower head of the major Rail Roads. River Front has 6 John Deere Skidders ready to work every day. Our skidders are well maintained and our operators can help you speed up your job site. 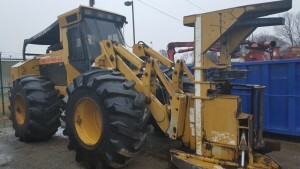 If you need a Skidder on your next land clearing job please contact us for information. River Front has two Hydro Ax Saw Heads with Operators. If you need help laying down your trees River front can provide you with the equipment and operators to get your project moving forward. 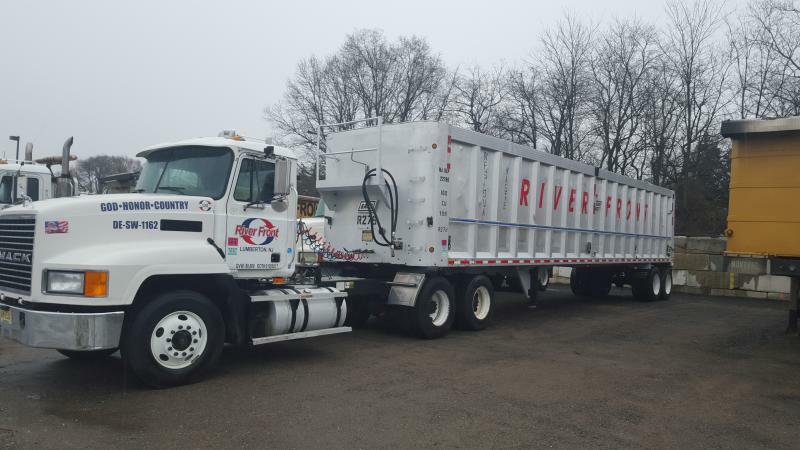 With today’s high fuel costs, let River Front go to your job site and do the work instead of dealing with companies that require you to bring the material to them.